Hope everyone is cool, well to live a HEALTHY LIFESTYLE, we must challenge ourselves in order to achieve our GOALS. 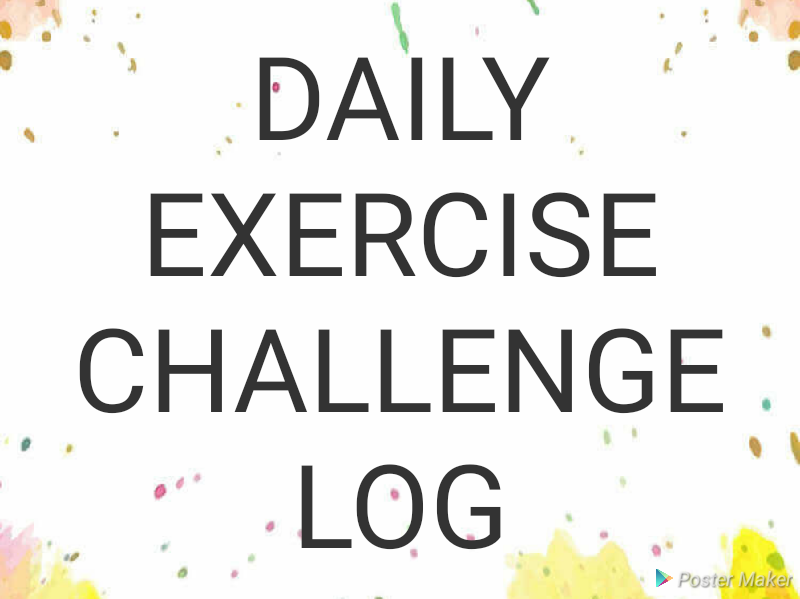 I HAVE STARTED A Daily Exercise challenge to enable me reach my desired weight GOALS. I have Low Metabolism, so burning of calories requires too much work from me. Most times I just give up after achieving little. So this time around I want some motivators to come join me. If you are looking forward to Loose some pounds welcome on board. You will LOG in your details and update it Daily. For me Saturdays and Sundays are my rest DAYS, with EXCEPTIONS. I downloaded a PEDOMETER STEP COUNTER from playstore because am engaging only in Running and walking. NOTE: You don’t need to fill in your private Informations. Share your Log on the comment section until I come across a log widget. For some health issues, the exercise challenge was paused around March and now resumed by June. Once that contest is finished, they can get prepared for the following contest. without providing you with any opportunity to develop your savings any further. person supply in your visitors? Is gonna be back often to inspect new posts. a wide range of health and fitness gear is out there for sale with new styles continuously being produced do towards popular for BestHealthGear..